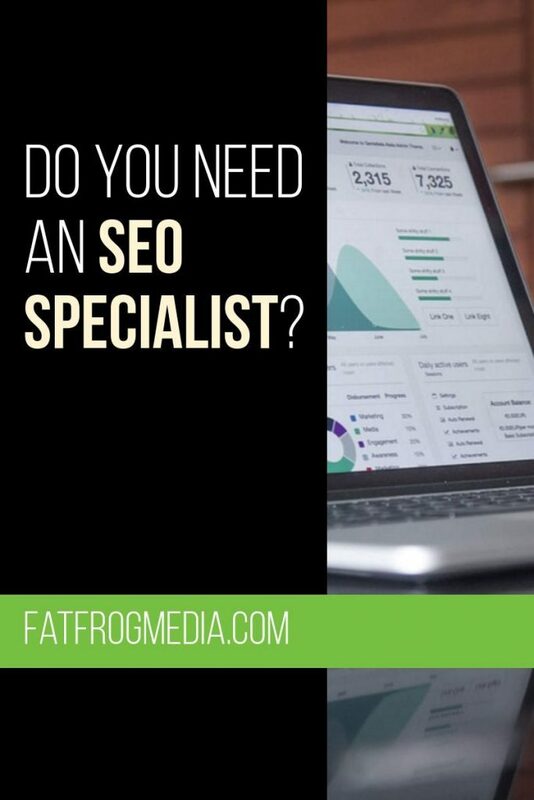 Do You Need An SEO Specialist? As an SEO consultant, I often hear people devalue the services that the SEO industry offers. SEO experts and SEO specialists are sometimes seen as wizards that sell dreams. Getting to the first page, or the first position on Google is not easy and that's often the dream being sold, but can the reality be delivered, do you really need an SEO expert, and what is this mysterious art called Search Engine Optimization? SEO is the process of improving the ranking or visibility of your website for organic results. It does not refer to paid search and a well-optimized website should rank highly on the Search Engine Results Pages (SERPs) for target keywords. If your site isn’t optimized it’s much harder to rank. There are, however, many sites that don't conform to the usual best practices and do just fine in search engine results, but these are exceptions. And who knows how long they will remain there? As more and more businesses apply better tactics for leads and traffic on their websites there’s always the possibility that the old guard will get knocked off the top spots. Google and the other search engines tweak their algorithms constantly and in some cases implement sweeping changes that destroy businesses. One change in Google’s algorithm could see your website fall off the front page. Understanding what to do next and acting fast are crucial elements in maintaining a strong presence on the internet. SEO is a $65 bn industry but it sometimes gets a bad reputation, partly because of shady practices by so-called SEO experts. Is SEO all just smoke and mirrors? 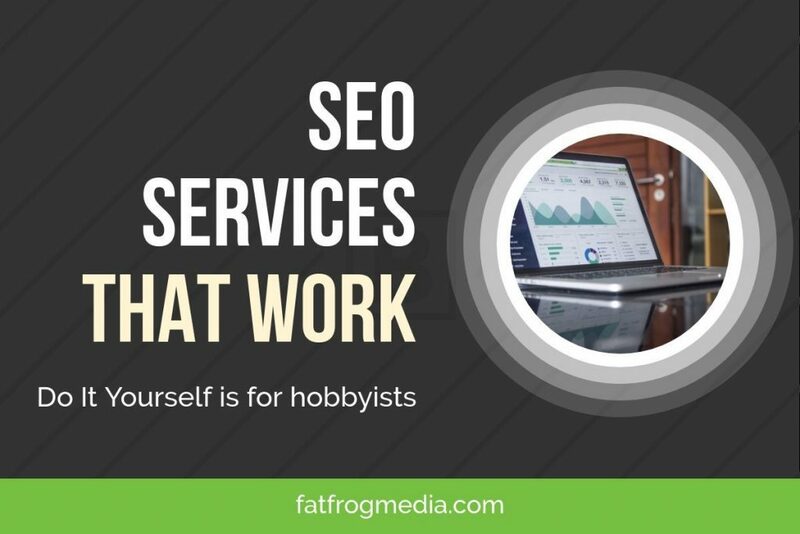 It's true that there exists an entire sub-industry of snake-oil SEO sellers but just in any industry (e.g., auto-mechanic, stock brokerage, real estate) there are those that like to act as if they have the magic formula and then there are real professionals. So let’s say you want to increase sales through your website but nothing is working so far. You’ve tried different email campaigns, promotions, and even A/B testing. Nothing works. Let's presume that your business makes $50,000 a month directly through online sales and that’s with 500 new visits per day (15,000 visits per month). Your site ranks on Google’s first page for several keywords but not your top ten targeted words. Let’s say that an SEO consultant analyses all the data extracted from their website audit, makes informed changes, and as a result adds an extra 1% traffic to your site. That’s an increase of 5 visits per day, which is 150 extra visits per month. If we put a monetary value on visitors (to this particular example website) we can say that each visitor is worth $3.33 dollars so an increase of 1% is worth fractionally under $500 a month. If the site traffic is increased by 10% that’s an extra $5000 a month or $60,000 a year. Even a modest 3% increase in traffic for a site like this would bring in an extra $18,000 a year. Now we must remember that not all traffic is equal. Traffic from irrelevant sources and SPAM sites is not only bad for sales but can harm your site's ranking. Anyone that uses irrelevant and spammy links to link to your website puts your business in jeopardy. Good SEO comes from discipline and your ability to be rigorous with optimizing website structure and content. Can you perform SEO without the help of a consultant? Certainly. It’s not rocket science but let me give you an example of a typical SEO workflow. Here’s a top-20 shortlist of typical SEO tasks. Keyword Research. Finding the right keywords to get the most relevant and quality traffic. Page optimization. Check pages for broken links, image tags (so Google can ‘read’ images), proper heading structure. Keyword strategy. optimizing pages for particular keywords to ensure that traffic is directed to that particular page based on search queries. Competitor analysis. Discovery of competitor keywords, paid ads, strategies, social media reach. Local SEO services. optimizing for local businesses with Google Local Places and directories. Create a proper internal linking structure. Optimize for speed. Factors affecting speed include the hosting company, the web server, the platform, and content and images. Navigation and Menu structure optimization. Backlink management. Monitoring for new backlinks, spam backlinks, and competitor backlinks. Spam backlinks should be disavowed while competitor backlinks should be investigated for opportunities. Website diagnostics and troubleshooting. Monitor for errors, spam, hacking, and uptime. 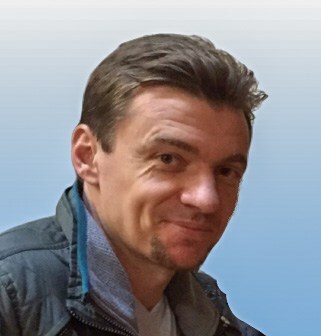 Check for 404 errors, crawl errors, duplicate content, and implement correct XML sitemaps, 301/302 redirects, and robots.txt files. Create URL, heading, and title conventions and optimize for maximum impact. Off-page SEO. Outreach and link-building relationship advice or direct implementation. Advise on brand management, domain names, alternative domain names, social media reach, email marketing. Understand and implement third-party tools for marketing to provide the client with a better solution. Optimize customer experience. Minimise bounce rate, improve click-through-rates, improve conversion, and (in the case of eCommerce sites) reduce cart abandonment. Search analysis. Analyze traffic from search for patterns, keywords, and determine where changes to landing pages or content can be implemented. A/B testing. Testing variations of pages and redirections for improved customer experience. Improve social media integrations to help show social proof. We can also add content creation, PPC (ads) management, and social media management to this list. Possibly the most important skill is helping the customer understand how these procedures affect their business and how they benefit their business. Putting SEO into plain English in a direct and concise form is essential. Many business owners do not care how their SEO is implemented, they simply want results, but I think it’s important to show how progress is made and how changes are affecting the results. A good SEO consultant can read any HTML or CSS and build a website from scratch. They should be familiar with PHP if they work on WordPress, and should understand the backend of any website, from the web server to the DNS implementation. SEO consultants should not guarantee ranking positions as that is something they cannot control. Being optimistic about potential results and setting realistic goals should be a given, but an SEO consultant that guarantees 1st place ranking on Google should be avoided. A lot of work goes into improving a website and it should start with an SEO friendly website, theme, or technology. SEO can only improve so much on a website with shaky foundations before hitting a wall. It’s essential to build websites that are functional and not flashy. Remember, functional NOT flashy. Nice if you can get both but that might be an expensive option. I’ve outlined everything you need to do to improve your site. If you are meticulous in your SEO plans and follow the established guidelines that are freely available on Google’s Webmaster Site as well as many other search engine optimization websites you will help boost your websites presence without the need for outside help. Now, you might be looking at the list above and are saying to yourself, “that’s a lot of work, and I’m bound to make mistakes. There must be a tool that will do all of this!”. Luckily, there is a tool. It’s called an SEO Consultant. Hire one today and if they’re good, the investment will pay for itself many times over. If you'd like a full assessment of your website's SEO potential including actionable tasks to improve your ranking then order the easiest way to get more traffic to your site, guaranteed!